After Tennessee’s Orange & White Game on Saturday, two Vols were chosen as the most improved players on the team over the course of the Vols’ spring practices. Rising junior receiver Josh Palmer was selected for the Harvey Robinson Award — the award given to the most improved offensive player of the spring — and rising senior linebacker Daniel Bituli was awarded the Andy Spiva Award — the award given to the most improved defensive player of the spring. Those two players came into spring practices having shown a good deal of promise in the 2018 season but with much still to prove. And according to Tennessee’s coaches, they made major strides over the last month-plus of work. Palmer capped off his strong spring showing with three catches for 25 yards and a touchdown in Saturday’s game. He came in to Tennessee as part of the Vols’ 2017 class, and he only had one full season of playing as a wide receiver under his belt. The 6-foot-2, 204-pound athlete has learned a lot in a short span of time, and Tennessee head coach Jeremy Pruitt likes what Palmer and wide receivers coach Tee Martin have done this spring. Last season, Palmer enjoyed a breakout campaign of sorts. As a sophomore, Palmer caught 23 passes for 484 yards and two touchdowns. He was a deep play threat and made the most of his receptions, averaging 21.0 yards per catch. 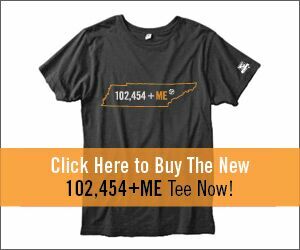 His performance against Auburn really turned heads, as he pulled down three catches for 84 yards against the Tigers’ stingy defense and helped UT upset Auburn on the road, 30-24. Palmer struggled with consistency last season, but this spring went a long way in him learning more about his position and getting more varied in his skill set. 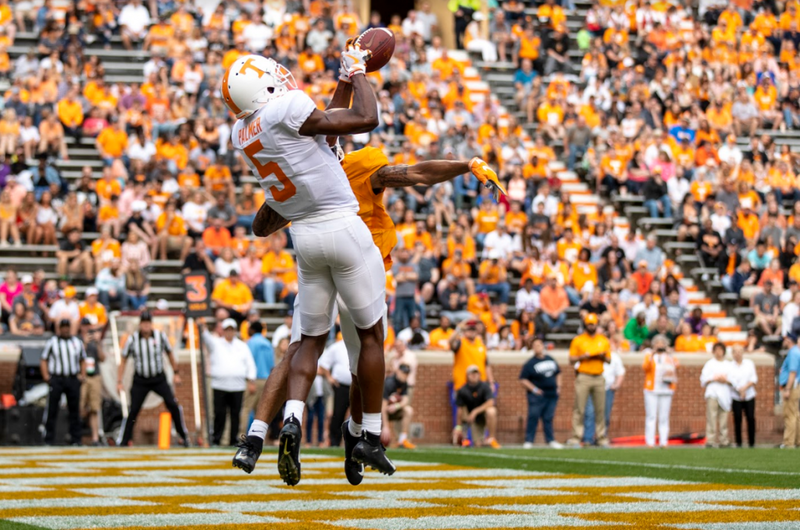 He has a different style of play than either Jauan Jennings or Marquez Callaway, and he can be an effective change of pace option for the Vols in the passing game if he continues this trajectory. As for Bituli, last season saw him regress a little in terms of pure numbers produced. But Tennessee will need him to be a leader on defense this season, and he picked up the pace after a sluggish start to the spring. “Daniel, I think he has done a really good job. I think he started out slow at the first three practices of spring, but then he has really made strides,” Pruitt said of Bituli after the Orange & White Game. “He’s always been a tough guy and played with some good physicalness. He’s worked on his pass rushing. He’s worked on covering guys and shows a lot more instincts. He’s tried to quarterback the defense this spring. Bituli has been much more of a vocal leader in practices this spring, and he’s practiced with both the inside linebackers and outside linebackers. Working on that versatility could be key for a Tennessee defense looking for more help rushing the passer. The Vols only totaled 25 sacks as a team last season, and Bituli only had one of those himself. In fact, outside of Darrell Taylor, no other returning Vol player had more than two sacks last season. As a junior last year, Bituli totaled 79 tackles, 6.5 tackles for loss, a sack, and a pass defended. He’ll be expected to take a step forward this fall if the Vols’ defense is to reach another level.